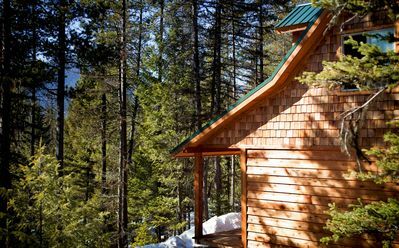 Glacier River Ranch is located only 7 miles from the West entrance to Glacier National Park, right on the Flathead river. 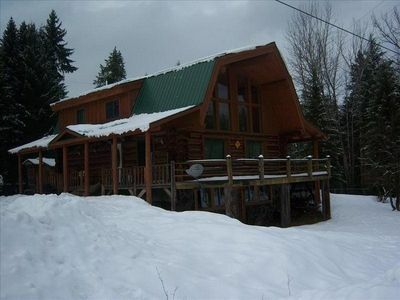 It is one of very few properties with its own private access to and from the river. We have two fully stocked fish ponds for Anglers to practice their casting technique's (catch and release only). 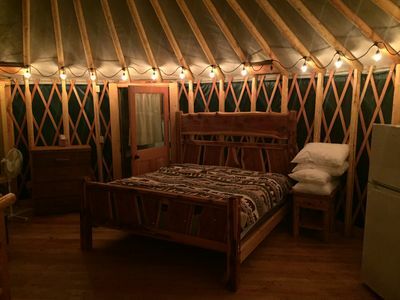 $425.00 Night - No Extra Charge up to 10 People, $15.00/person after 10 - 7% Bed Tax. 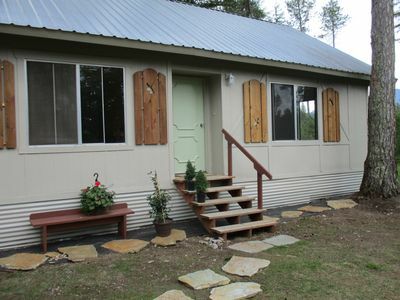 The Guest house sleeps up to 17 people with 4 bedrooms & a loft, and has 3 full bathrooms. 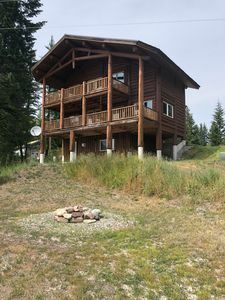 A fully stocked kitchen and pantry, dining area with luxurious bar-stools for 6, outside dining table for 6, and additional seating and tables for up to 6 extra people, 2 full living areas, one with sectional couch, full laundry room, large downstairs patio and large upstairs deck. 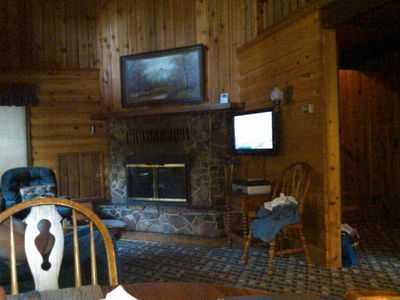 Two TV and satellite entertainment centers. 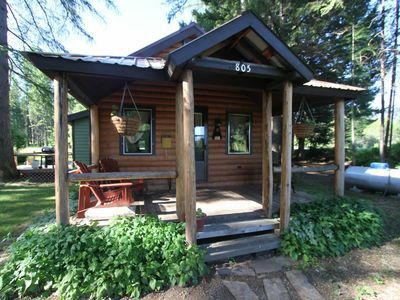 Also included is high speed wireless internet, BBQ grill and a fire pit. There is a wonderful bike path across the street for running, biking, or for just walking. This paved walking & bike path runs from Coram all the way to West Glacier, and is 14 miles round trip. 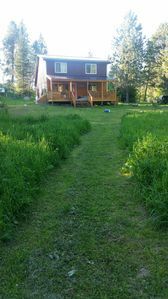 The house is located on a shared 40 acre plot. 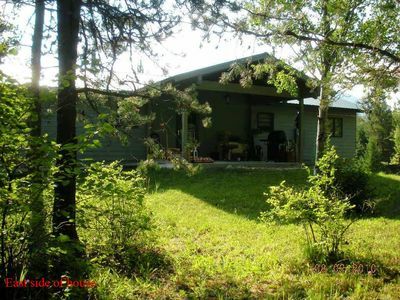 There are large grass areas and forested areas. There are 2 fish ponds stocked with local trout for angling practice (catch and release only, barb-less hooks only). 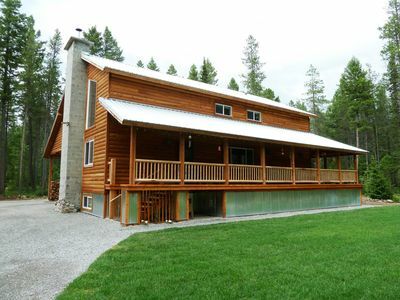 The property also has private river access to the Flathead River (one of only a few in the area). 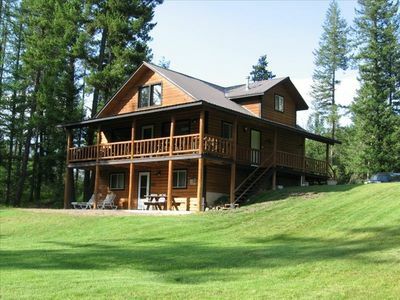 The guest house can be rented for large gatherings, or family reunions. 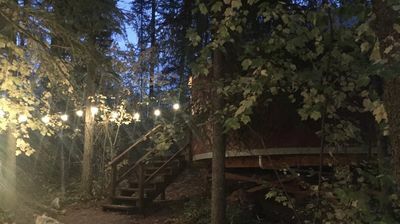 We have a very special and unique place that will leave you with memories that you will want to share with your friends and family. 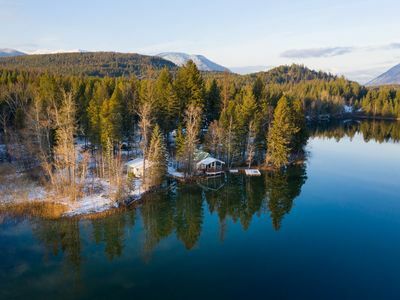 We are located 20 minutes from the Glacier International Airport, 10 minutes from Columbia falls, 30 minutes from Whitefish, 40 minutes from Kalispell, and 35 minutes from Bigfork and Flathead Lake. 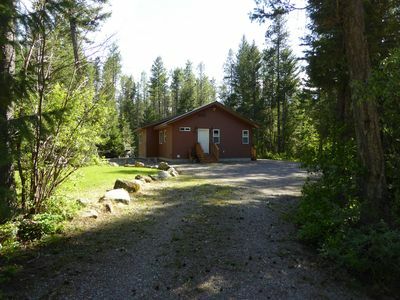 Keywords: 40acre ranch, 10bed 3bath home, family reunion, family vacation, river front property, bordered by State and Forest Service Land with 3000ft of river frontage, located just before the city of Coram on your way to Glacier Park. 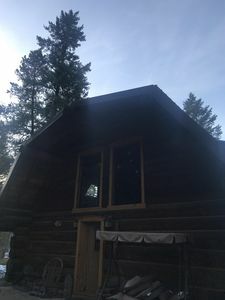 Log Cabin with Queen log bed, full kitchen, tub/shower, 200 Sq Ft loft. All linens provided, covered porch, BB . 2 Miles to West Glacier Park entrance gate! 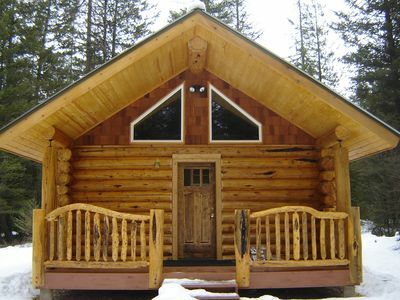 King's Cabin, just 2 miles from Park entrance! 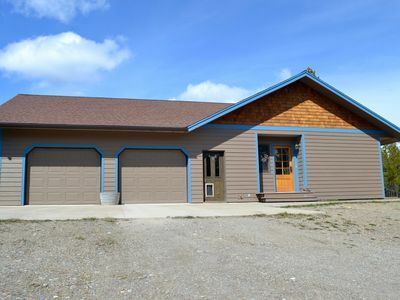 Great location, brand new home just 7 miles from Glacier! 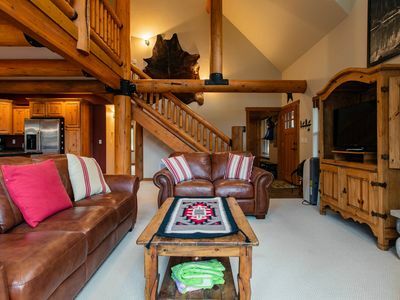 Beautiful old rustic log cabin. 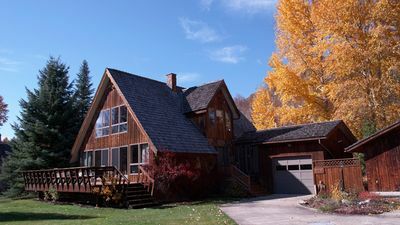 TEAKETTLE MTN CHALET **7 MILES FROM GLACIER NATIONAL PARK** NEWLY REMODELED!!!! Spring has arrived in Glacier National Park! 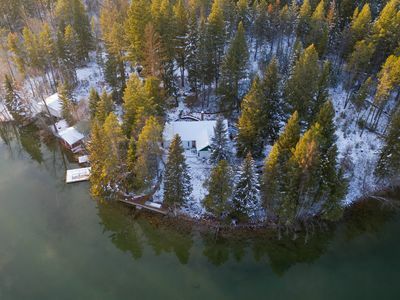 NEW LISTING on Lake Five with dock, swim platform, stand-up paddle boards! 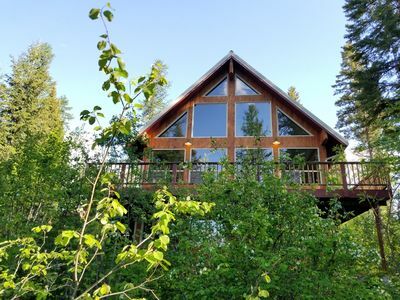 Low-Key Lakeside Hideaway—Just minutes from Glacier National Park!